This award is for Isolvar This award is for Isolvar Jean-Noël GUERINI, president of the local council of the Bouches du Rhône, Jean-Pierre RICHARD, president of the Federation of the public buildings and works sector and also René NOSTRIANO, regional president of the Federation of the building industry and public works honoured ten companies in the department when presenting the “Award for performance 2009”. Our company ISOLVAR was one of the award winners in its professional branch. We are very happy to share our joy with you. We would like to thank the Federation of the public buildings and works sector (department 13) for the value they give us thus showing the attachment they have to company performance, the performance in our professions and their values of which men and women are the main players. You know that our know-how, to be useful, must be at the same time complete, well mastered and intelligently handled. Always with one goal : satisfy the needs of our customers to develop the durability of our company. In these difficult periods of recession from which we are all suffering, it is our duty as company leaders to hold firm and continue to motivate our troops. 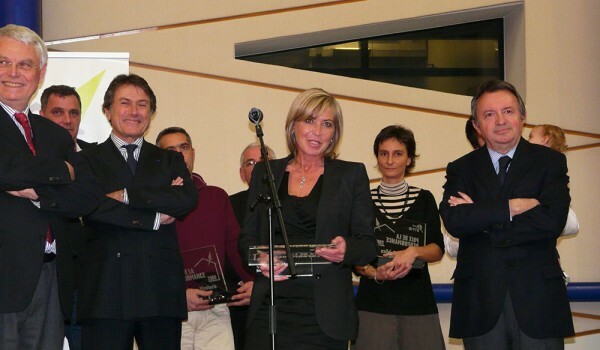 Today this « Award for performance 2009 » adds to the value of ISOLVAR in the eyes of our clients and all its partners. This award goes straight to our colleagues and our teams because without them this marvelous adventure would not have happened. Thank you to all of you for allowing us to distinguish ourselves.